After Oppo, HTC and Sharp, it's Lenovo's turn to release an Android-based smartphone with a 1080p display. We don't really know much about this phone, including it's name, but a few screenshots from the phone have surfaced online. These screenshots reveal that the device indeed has a 1080p resolution. 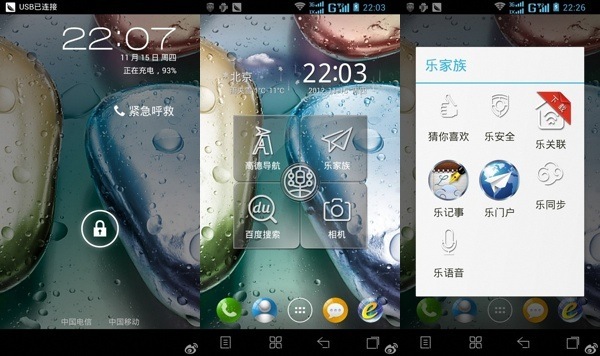 They also show that the phone supports dual-SIM cards and that it is running Lenovo's custom skin on top of Android. It is being said that the phone is in its final stages of development and would be officially announced in China shortly. I own one Lenovo Phone - A 789.It is very good, I enjoy it. I bought it in China and it has English too. They make good staff!